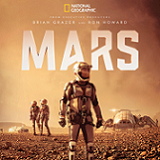 MARS follows a crew of courageous international astronauts on its exhilarating maiden voyage to Mars and quest to colonize the fourth planet from the sun. 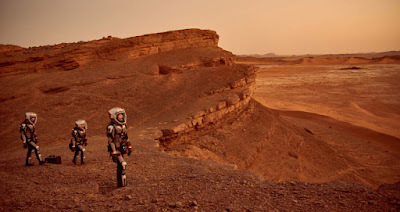 In a unique blend of scripted drama intermixed with documentary sequences and feature-film-caliber visual effects, the series presents what the greatest minds in space exploration are doing to make traveling to Mars a reality, featuring Big Thinkers like Elon Musk, Neil deGrasse Tyson and Stephen Petranek. Experience MARS in breathtaking high-definition. 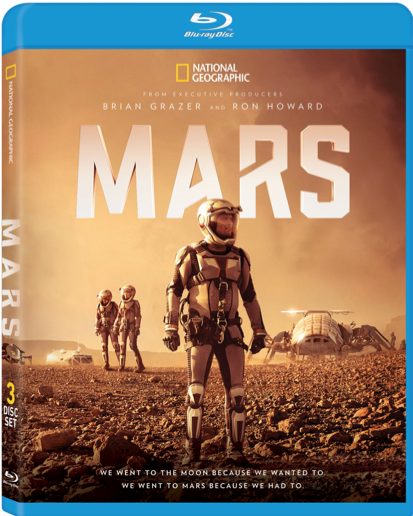 This National Geographic sci-fi docudrama is jam packed with two hours of extras, including prequel BEFORE MARS, Living on Mars, Cast & Crew Interviews and more. 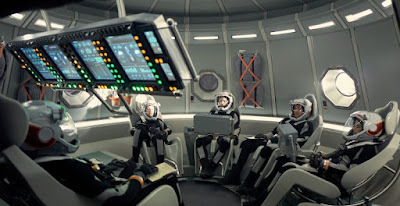 When I heard about this show I was immediately excited once I learned that it was being produced by Ron Howard and Brian Grazer who had done an incredible job of recreating the trials and tribulations of the Apollo 13 mission, with the movie of the same name. And like Apollo 13, this series gives us a dramatic look at a space mission but instead of looking to the actual events of our past, it looks ahead to a fictional future mission to Mars. The show also intercuts that story with a documentary like side story of the the efforts being taken to get us to Mars. The mix of the two just doesn't work for me and I think this show would have been a lot stronger if they had just picked one to go with. 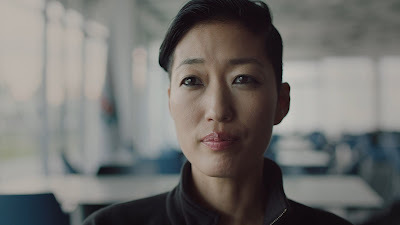 The choice to make a fake future narrative complete with fake interviews with the the cast as astronauts and combine it with actual people like Elon Musk who talk about how they are trying to get to Mars is jarring and that combination throws both narratives out of whack. 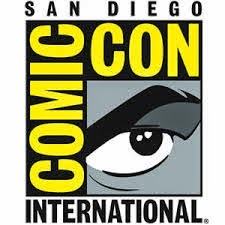 It doesn't help that the scripted press conferences and interviews in the fake storyline are so similar to the actual documentary part of the show. I kind of feel like I should be reviewing two different shows that have been blended together. Using that logic, I would say that the actual documentary part of the show is very interesting as we hear from the leading figures in the race to Mars and get to see plenty of behind the scenes looks at how those efforts are being done. The fictional part of the show is the weaker of the two as the characters aren't that interesting and the actors playing them don't have the charisma to overcome that. On the plus side, the photography and special effects are quite good for television and you can tell how much effort was put into making this believable and realistic. The show also takes shortcuts which is a little surprising such as we see them leave Earth and the next thing we know they are at Mars with nothing to show for their long journey there or how the trip in space affected them. For a show about what it will take for us to get to Mars, that seems like a surprising missed opportunity to address an important aspect of that endeavor. What's interesting is the second episode address Astronaut Scott Kelley's One Year Mission in space and how it affected his body, but we don't see that shown during their journey to Mars. Overall, this is worth watching, but I really wish they had done it in a different format or just picked one path as it would have made it much better. I much preferred the factual narrative over the fictional one. This 1080p (1.78:1) transfer is very nice indeed with a sharp picture and vivid colors. The interview segments look especially good while the fictional scenes look good too but the CGI effects do stand out in comparison to the rest of the picture. This is a very clean looking transfer without any digital defects or blemishes to complain about. Mars' DTS-HD Master Audio 5.1 mix is also pretty good even though this track doesn't get to show off too often during the interview parts. It kicks into gear a lot more when the fictional trip to Mars parts are onscreen. Dialogue is clear and the music is also well balanced with the rest of the mix. Making Mars - At almost 47 minutes long, this is pretty detailed and it offers a look at the making of the show and how they came up with a realistic future look. This also includes comments from producer Ron Howard. Before Mars - A Prequel - At a little over a half an hour, this prequel sets up the fictional parts of the show and provides more of a backstory. Before Mars Behind the Scenes - This is your basic couple minute EPK behind the scenes look. Getting to Mars - This is a short featurette that covers the technology needed to get to Mars. Living on Mars (1080p; 10:26) does much the same service regarding what we're going to do once we get there. More Mars - Here's even more info on the planet Mars for those who'd like to learn more. Behind the Scenes - At almost fifteen minutes long, this extra gives us even more behind the scenes footage, including more Ron Howard. Cast and Crew Interviews - Interviews with the cast and crew of the miniseries. Mars has its good aspects and some bad ones. I personally didn't like the dual narrative approach they took with this which includes a factual documentary style that's inter-cut with a fictional mission to Mars set in the future. I think they should have picked one or the other. This Blu-ray offers a high quality video and audio presentation and the extras are pretty in depth too. If you're interested in how the world is gearing up for the trip to Mars you will enjoy this. If you are looking for a thrilling space-going experience I'd recommend Apollo 13 instead.